Market Basket stores, such as this one in Burlington, are now well-stocked. It no longer has two dueling Arthurs at its helm, raucous employee rallies, or board meetings fit for reality TV. 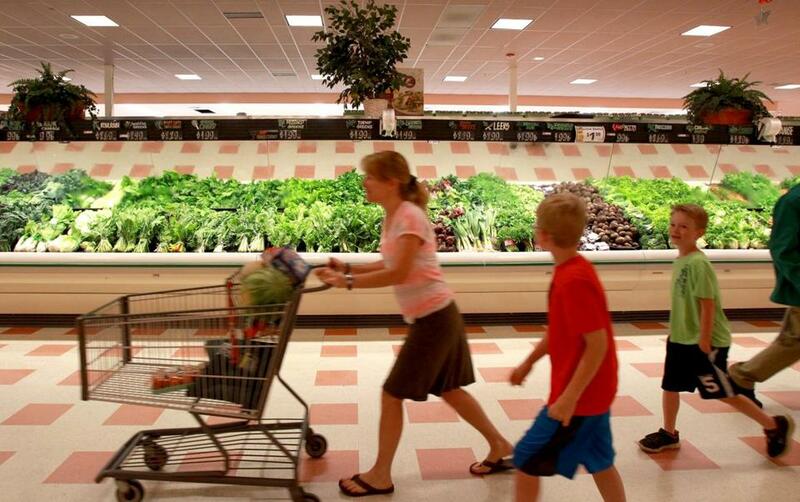 But in the year since Market Basket’s near meltdown over a feud between two cousins, at least one thing at the Tewksbury-based grocery chain hasn’t changed: its ability to make money, lots of it. The company is on track to record total revenues of about $4.8 billion in 2015, top executives say, the most in its nearly 100-year history. It is also in expansion mode, opening five new stores in the last year, some with upscale accents such as massive gourmet cheese islands, expanded organic food offerings, and outdoor cafe seating. Two new stores are under construction in Plymouth, Mass., and Rochester, N.H. The company’s strong performance comes despite a slump of $405 million in sales amid an employee walkout organized last summer in protest of Arthur T. Demoulas’s firing as president and chief executive by a board controlled by his first cousin, Arthur S. Demoulas, and other rival family members. A look at inventory in one of the supermarkets during a worker strike in 2014, and a year later. The walkout severed the company’s supply chain and left its store shelves empty throughout New England for weeks as the Demoulas family struggled to resolve its 25-year feud over the company. In buying full control of Market Basket from his relatives last August, Arthur T. Demoulas was forced to borrow about $1.6 billion. Analysts at the time predicted the debt burden would force Market Basket to either back away from its discount pricing model or curtail its unusually generous profit-sharing plan for employees. But so far, executives say, neither has happened. More than $129 million was handed out in employee bonuses and profit-sharing contributions in the past year, which is on par with prior years. And the consumer research firm Nielsen found, in a June report on supermarket pricing, that the company’s groceries were 15.9 percent cheaper than its competitors’ in the first six months of 2015. That’s nearly a full percentage point better than the same period in 2014. Market Basket, with 75 stores across New England and a 4 percent market share in the Northeast, continues to grow sales despite the competition from an ever-growing list of food sellers. Wegmans, Whole Foods, and Trader Joe’s have all expanded in the region, and department stores such as Target and Walmart pose significant competition in the discount grocery market. Last week, the Dutch parent company of Stop & Shop supermarkets struck a $10.4 billion deal to buy the conglomerate that owns Hannaford Bros. Co., a move that could boost its buying power and profit margins. But while those and other grocery retailers battle to maintain their positions in the industry, privately owned Market Basket appears to be gaining strength. 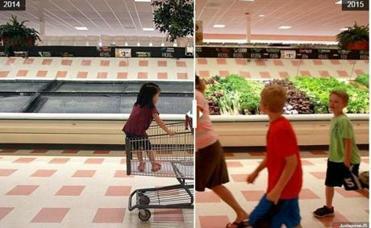 Last summer, the shelves at the Burlington Market Basket weren’t fully stocked — they were pretty bare. Its new store in Waltham has a decidedly upscale feel, featuring an explosion of landscaping and outdoor seating under a pergola where shoppers can dine on everything from panini to eggrolls to gelato. Demoulas and other executives said the company is trying to freshen up stores with larger prepared food sections, modern designs, and more variety. After being reinstated and taking control of the company last summer, Demoulas revamped the company’s board of directors, reducing its size from seven to five members. He also appointed directors who share his management philosophy. Previously, the board had been controlled by his first cousin, Arthur S. Demoulas, who constantly battled with Arthur T. Demoulas and other managers on real estate and financial matters, often leading to explosive confrontations at meetings. Market Basket has preserved its position in the region’s grocery industry in part by sticking to its formula of maintaining clean stores, friendly customer service, and low prices without the hassles of loyalty cards and other membership programs. The company delivers low prices and substantial profits by running on a smaller corporate staff, buying a consistent array of products in large quantities, and maintaining an experienced and extremely loyal workforce. A large part of its formula has also been avoiding debt. But even with the recent borrowing, Demoulas said the company has not been forced to increase prices or cut employee compensation. It is unclear whether the additional debt will affect profits. Market Basket operations manager David McLean said the chain is expanding its healthy food and prepared food offerings. In the past year, Market Basket followed through on prior plans to open five new stores in Revere, Waltham, Attleboro, Athol, and Littleton. It also started construction on the stores in Plymouth, Mass., and Rochester, N.H. Company executives would not disclose plans for further expansion, other than to say several new store locations are under discussion. The company has also kept busy renovating and modernizing its stores, and it is adding larger prepared food sections and healthy food options to keep up with surging demand in those categories. “Healthy foods is the largest area of growth right now. We’re expanding organic food offerings and gluten-free products,” said David McLean, operations manager for the 26,000-employee company. McLean added that the chain has expanded prepared food sections in three stores and is currently renovating four others. Business experts said Market Basket, more so than other supermarket chains, must be in perpetual growth mode to keep opportunities flowing to the loyal suppliers and longtime employees who are keys to its success. Expansion also brings in new customers and community stakeholders. Overall, sales are up 3 to 4 percent so far in 2015, McLean said, which is at least a percentage point better than average annual sales increases in the industry. 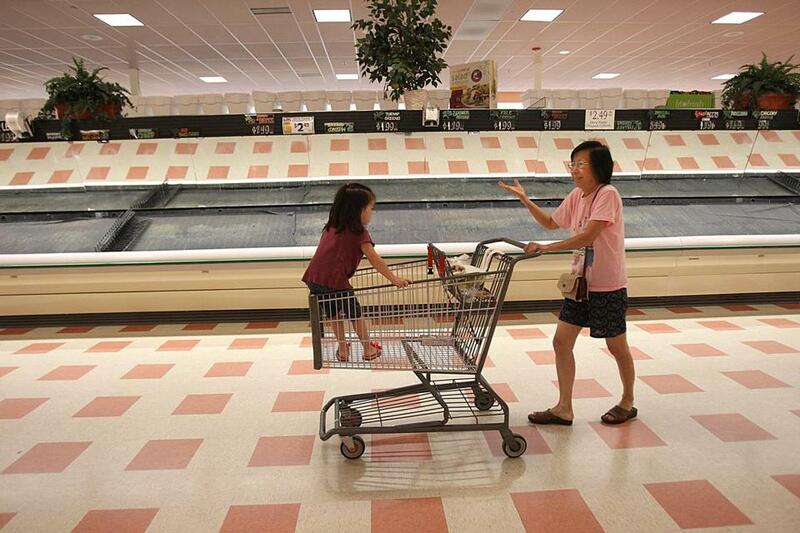 In 2014, Market Basket collected about $4.1 billion in sales, even with the six-week shutdown that cost it $405 million. This year, it is projecting total sales of about $4.8 billion, proving that last summer’s disruption did not erode its customer base. 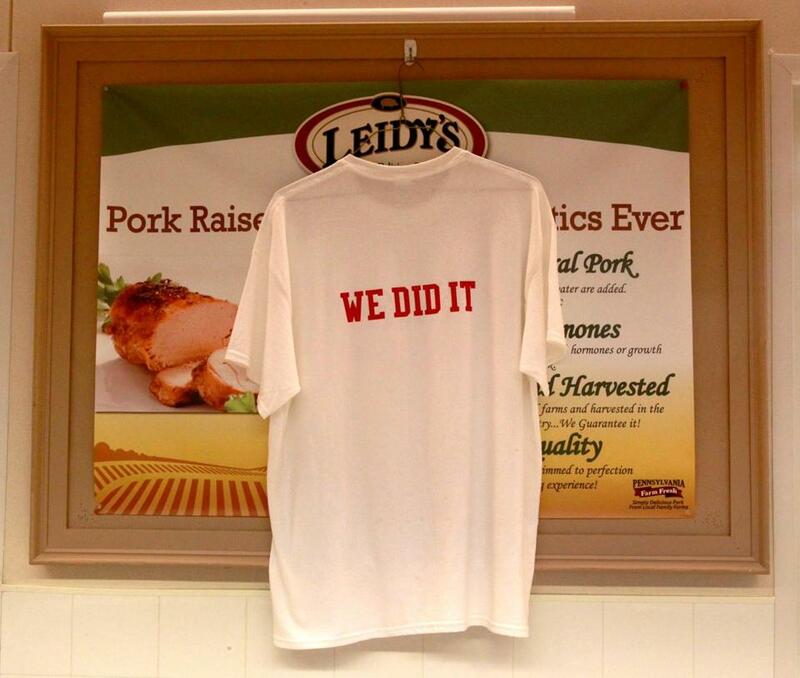 A T-shirt hung in the meat department of the Burlington store as a reminder of 2014’s dispute. Globe correspondent Ellen Ishkanian contributed to this report. Casey Ross can be reached at caseyross11@gmail- .com.